Populations of the endangered striped legless lizard in Melbourne’s outer west are set for destruction by bulldozer for new housing, and our Premier Daniel Andrews has dismissed any efforts to protect them! The species looks like a snake but its closest relative is the gecko, and is deemed endangered within Victoria and vulnerable nationally. 15 green and community groups, led by the Victorian National Parks Association say that the federal and state governments should adopt further protections for the existing populations of the creature, potentially in the path of new housing developments. Nothing seems to be able survive the bulldozers when it comes to housing and population growth! How can governments promise that there can be both urban growth and conservation of grassland native species? You can’t have habitats bulldozed for housing, and large conservation areas, co-existing! It’s a contradiction in terms. In any conflict, the threatened species will lose out. There’s large swathes of money to be made, and benefits for real estate and property investors, leaving intrinsic and environmental values lost in any considerations. It’s about spawning more mortgages, and being able to by-passing any environmental laws that protect endangered species. Under a deal with Canberra, the state government was required to explore a relocation trial for the species. This pays lip-service to consideration for species, and assumes that they can simply be “relocated” to neatly comply with developers! According to VNPA, “900 lizards would be required for successful translocation but this number is based on the most conservative estimates and is much too high. “The Striped Legless Lizards will now be left to await the bulldozers as habitat hotspots continue to be cleared for urban growth in Melbourne’s west”. 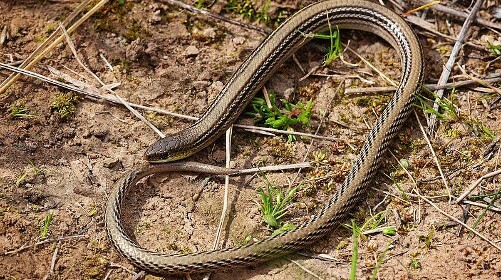 “The habitat for one of Victoria’s most significant endangered species, the Striped Legless Lizard, is rapidly being destroyed and the animals now face death by bulldozer,” the Victorian National Parks Association’s Yasmin Kelsall said in a Media Statement. 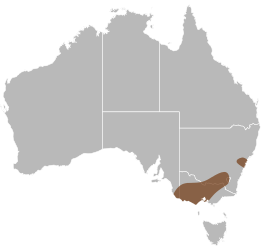 The harmless, endangered legless lizard lives in one of Victoria’s critically threatened habitats – the native grasslands of the Victorian Volcanic Plains. Green Wedges Coalition spokesperson Rosemary West said the lizards now face local extinction. The steamroller of housing growth just keeps clawing out further into Melbourne’s fringes, with 100,000 more people each year to be accommodated. Australian National University researchers believe that big mobs of kangaroos destroy the grassland habitats of reptiles. They found grass over 20 centimetres tall housed the greatest number of reptiles. An ultra-brutal and extremist conservation policy has seen thousands of ACT kangaroos “culled” to protect grassland native species. But, when it comes to the much greater and devastating impact from mechanical, behemoth bulldozers, and the deadly impacts of urban sprawl, any scientific objections are completely overlooked! There were funded studies to condemn the native kangaroos as being environmentally destructive to threatened grassland species, but there will be no condemnation of housing growth! It’s a tragic example of the failure of conservation in Victoria, and reflects a Third World problem of environmental negligence, ignorance and the destruction of habitat due to prioritizing industries over Nature, and rampant corporate greed! Under the deal with Canberra, developers will be required to pay a flat rate for each hectare of vegetation or habitat they destroy. The money would be held by a trust and used to protect and restore other areas with similar environmental values. It’s assumed that money and “offsets” can restore what’s lost for native species, and monetary values can “fix” any environmental issue! It’s expected that threatened grassland species can conveniently adapt to any land selected as an “offset”, as long as it’s not crossing paths with property developers. Just where will these “offsets” be? The housing industry’s political and economic power may be able to move mountains when it comes to manipulating our governments, and councils, but endemic species, with thousands, or millions, of years of living and evolving here, can’t be just bought off!